Firstly I would like to thank Earnine for sending me this sample for review, these have had well over 50hrs of burn-in, no differences were noted. The EN210 come in quite a nice hard cardboard box, there is an outer sleeve that has a picture of the IEM on the front. Specs and info about the model can be found on the sides and back of the outer sleeve. Remove this and you will find the main box that separates into two parts, take the top off and you will find the IEM’s held neatly in place in a foam insert. Below them is the carry case, which also houses the accessories, for the price the packaging is more than good enough and provides a pleasant unboxing experience. 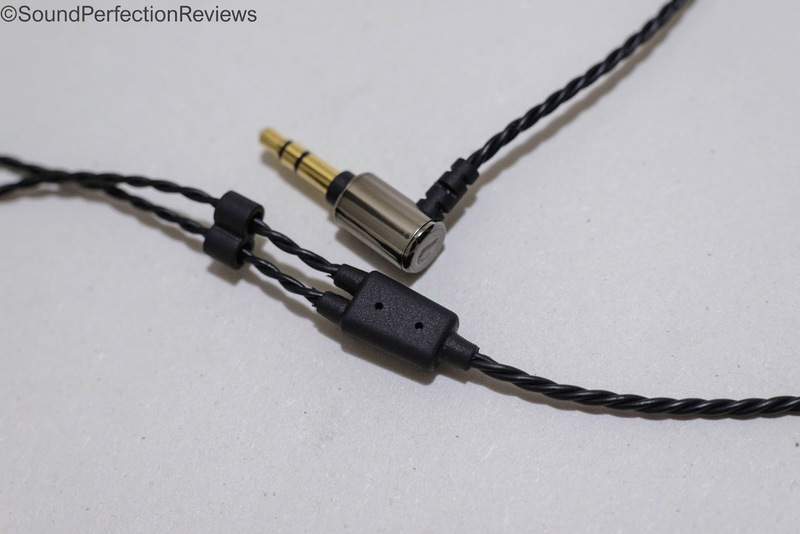 The EN210 are well built, it looks like they use the same cable as the EN120 which is great, it is a soft and flexible twisted cable which has a short moulded rubber ear guide at the top. 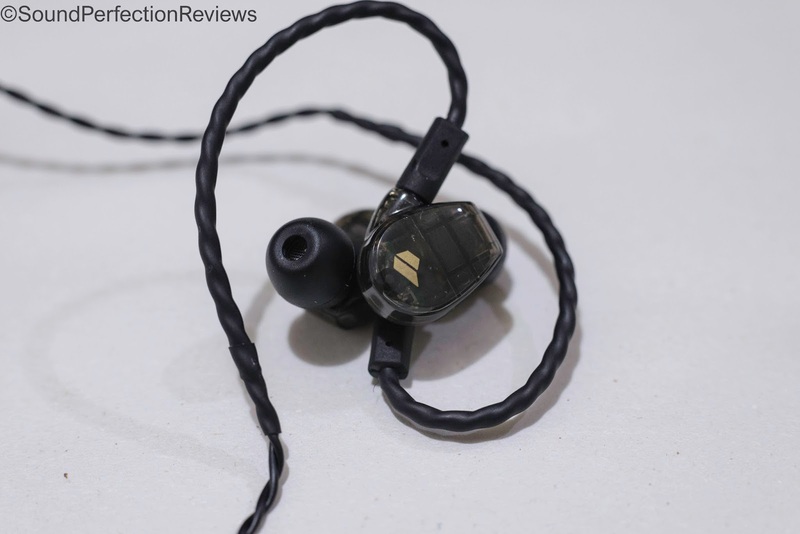 The moulded ear guide is soft, and does not contain metal like normal memory wire, this means they are much more comfortable than standard memory wire in my opinion. The jack and housings have good strain relief, as does the y-split. There is a chin slider, and the main housings are made of tough plastic that are very well put together. The sound nozzle is metal, and all in all they are very well built, the housing is translucent, and you can see there is quite a bit of glue used inside to make them strong. Accessory wise you get a soft clamshell case with the Earnine logo on it, along with 4 pairs of tips. You get S, M and L in regular silicone tips, along with a pair of M foam tips, a nice selection but it would be nice to see different textured tips included. The EN210 are styled like most professional style monitors, a small housing with the cable going up and over your ear, luckily they don’t have regular memory wire though. The cable is flexible and soft, and the insertion angle of the IEM’s means they sit quite flush once in your ears. 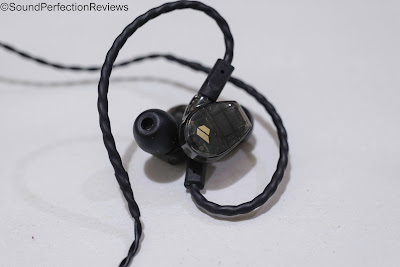 These are incredibly comfortable IEM’s and could easily be worn for hours at a time. The isolation is very good, the housing is closed and they use BA drivers so these are great for daily noisy commutes and even air travel. Cable noise is not an issue with these. 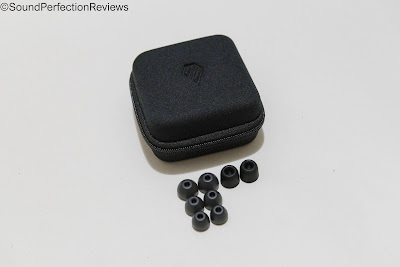 Lows: These are a full sounding IEM, many may think that being a BA based IEM for a lower price they may not have satisfactory lows, but these certainly do. They are quick like most BA drivers, but they also have body and warmth that is more associated with dynamic drivers at this price range. The sound is far from being dry and boring. There is a sense of fullness to the sound of these which is quite surprising considering the EN120 was more analytically tuned. These are laid back and easy to listen to. Kick drums have punch but also body, bass guitars are easily separated and everything blends effortlessly. Mids: The midrange is well separated from the lows, but still has a more pleasing and smooth tone to it. The midrange is up front and detailed, but it never becomes overwhelming or shouty. Both male and female vocals are equally presented, but I do find distorted electric guitars sometimes lack a little crunch. These are more of an easy listening, warm, smooth sounding IEM. There is a very smooth and laid back transition from the upper mids to treble, which means there is no sibilance to be detected on these. The midrange is surprising due to how vocals are intimate yet seemingly unaffected by the fuller low end. Highs: The highs are quite laid back on these, they have good air and the positioning of the highs is good but they lack a little presence. Again these are a non-fatiguing, smooth sounding IEM that are not tuned to be the most revealing, or the most analytical. The highs are still there, but there is no real impact and they do sound a little muted. The soundstage is quite impressive height wise; the width is also fairly good. You can pinpoint where instruments are placed in live recordings quite easily. Instrument separation is superb on these; they never become congested even with very fast and technical music. Layering is really impressive on these, allowing you to easily pick apart recordings, but the overall sound is very coherent. Now the EN210 and H3 are quite different in their tunings and also configuration, the EN210 is a dual BA, the H3 is a triple driver hybrid (2BA + 1DD). The H3 is an up-front and exciting IEM, the bass hits hard and extends low, the midrange is a little lean in the lower mids, and the upper midrange is mildly sibilant. The H3 has sparkling but sometimes over enthusiastic highs that can err on the side of fatiguing. 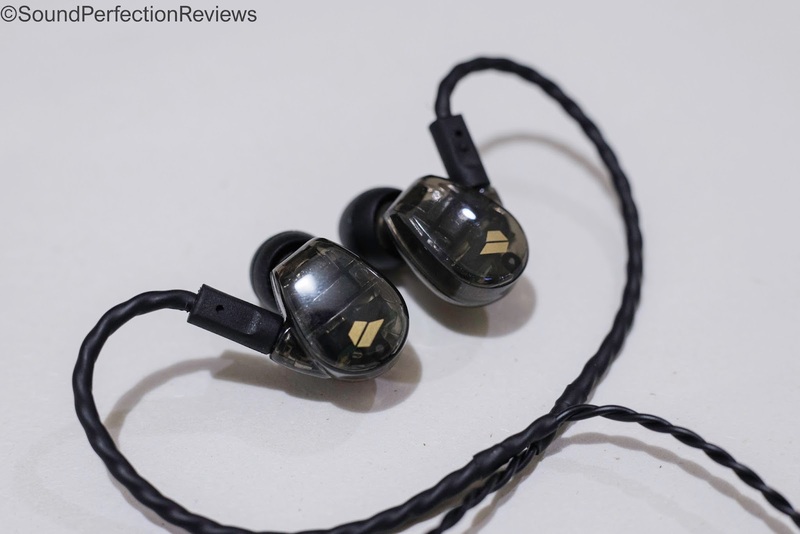 The EN210 is a fuller, smoother sounding IEM, with a clean and up-front midrange with dull bodied but well controlled lows, and smooth but slightly muted highs. Choosing between these 2 is purely a matter of taste, the EN210 for me is a little more tonally correct, but the highs do let them down a little. The H3 is more v-shaped and fun, but can be a little overbearing at times. 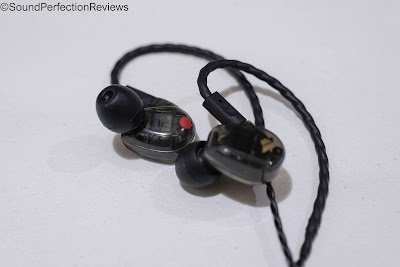 Conclusion: If you are looking for a smoother, easy listening IEM for on the go use the EN210 does a very good job. They are not dull, but do lack a little impact and sparkle in the treble range. The sound is full, well layered and enjoyable; they don’t jump out at you but do allow hours of fatigue free listening. The comfort and form factor are excellent, and the sound is more like a good dynamic driver than 2 BA’s, which I think a lot of people will like.